Keep your trades plain and simple. If you get into 7 different pairs, you do not know whether you are long or short on the dollar on a net basis. There are two things about forex trading that every first time forex trader is aware of. They know how Stanley Druckenmiller made a billion dollars for George Soros by shorting the UK Pound in 1992. They also seem to know about how Soros short sold the Asian currencies ahead of the Asian currencies crisis of 1998. The problem with such exceptionally profitable trades is that it tends to detract you away from the more basic facts about forex trading. Remember, forex trading is not rocket science. Like trading in equities and bonds, you need basic understanding of the asset class, news flows, sensitivities and long term price patterns. If you have just started trading in currency derivatives, here are 10 interesting tips and insights for you. Know your risk tolerance and your risk appetite. That is as much applicable for forex trading as is for equities and derivatives. Remember, currency derivative is a leveraged product. You get much more leverage than what you get on equity in equity derivatives. Know your risk capacity and trade accordingly. Going overboard means any negative movement in the currency can set you back. Why are you trading forex? Be clear on that. That is an interesting question. Are you trading because you are an importer who wants to hedge the weakening of the rupee? Are you an exporter who is hedging against the weakening of the dollar? Or are you just a short term trader looking to profit from currency fluctuations. Measure and execute your trades accordingly. Begin small and enhance positions out of profits. Start small with a few lots. Don’t try a 100 lot purchase of dollar pair on your second or third day. First, get comfortable with the price movements and see some profits. Use this profit to take bigger risks. That is the logical way to proceed. Specialize in one pair because specialization matters a lot. In India, you can trade pairs of the INR with the USD, UKP, JPY and EUR. 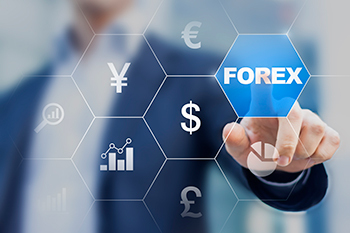 You can also trade cross currency pairs and currency options. First specialize in just one currency pair and understand the dynamics. After that you can include more currencies under your fold. Avoid doubling up positions and overtrading. Averaging your positions is the cardinal sin in any type of trading. When you buy dollar and the dollar falls, it means that your call was wrong. When you average, you are just being doubly wrong. When you overtrade, you only pay the broker and not yourself. When you panic, you subsidise the other trader. This is true of most markets and especially when it comes to forex trading. The market overall has a finite amount of profits to be made. Profits always go to the trader who can maintain mental poise and equanimity. Therefore, when you panic in the forex trading market, you are indirectly subsidizing another trader who does not panic. Your profits will go to the other trader. Don’t use algos and black boxes that you do not understand. Lot of rookie traders are nowadays getting carried away by esoteric machine algos and black box techniques. Trading is simple buying and selling based on your view. Get comfortable with that first. When you adopt these black box technologies, more often than not, you will not be aware of what you are actually getting into. Keep your trades plain and simple. If you get into 7 different pairs, you do not know whether you are long or short on the dollar on a net basis. That can really work against you. At any point of time, you must be perfectly aware of whether your net position on long or short and on which currency. That is how sensitivities are worked out. Understand what moves currencies. This point cannot be overemphasized. When you are trading the USD-INR pair, what are the factors you should consider? You need to know what will weaken or strengthen the rupee. You also need to know what will weaken or strengthen the dollar. Focus on Fed minutes, jobs data, retail data, growth data etc. Check how the yuan, yen, pound and euro are moving against the dollar as they can all have a bearing on your USD-INR trade. Finally, be realistic in your expectations. Just because you made 4% yesterday does not mean that you will repeat the performance. In fact, it is very likely that you will not. Forex trading is just one more avenue to trade and not a ticket to quick wealth.